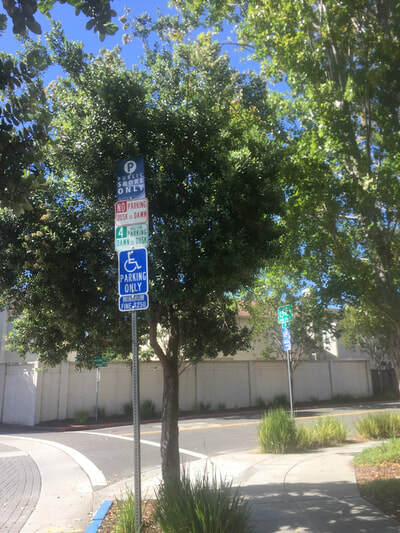 Parking: Free 4 hour street parking at the roundabout (Anchorage Dr. and Lewelling Blvd), approximately 6 parking spaces. 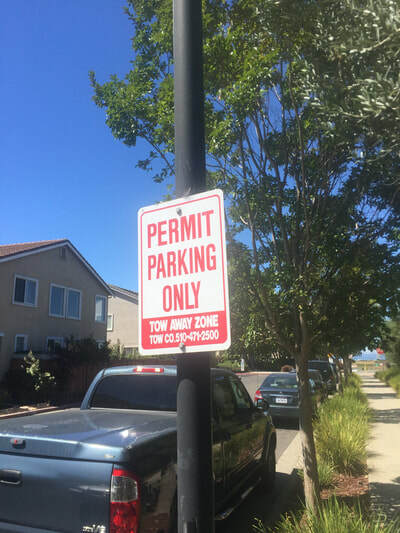 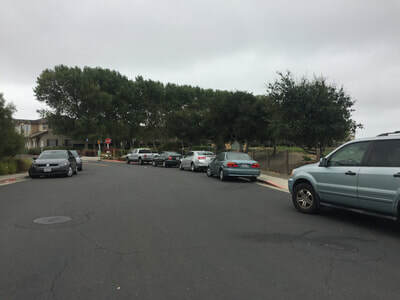 Closer parking is for residents (by permit only), and posted signs note that cars without permit will be towed. There is also ample parking further down, off of Wick's Blvd near Quebec Ave. 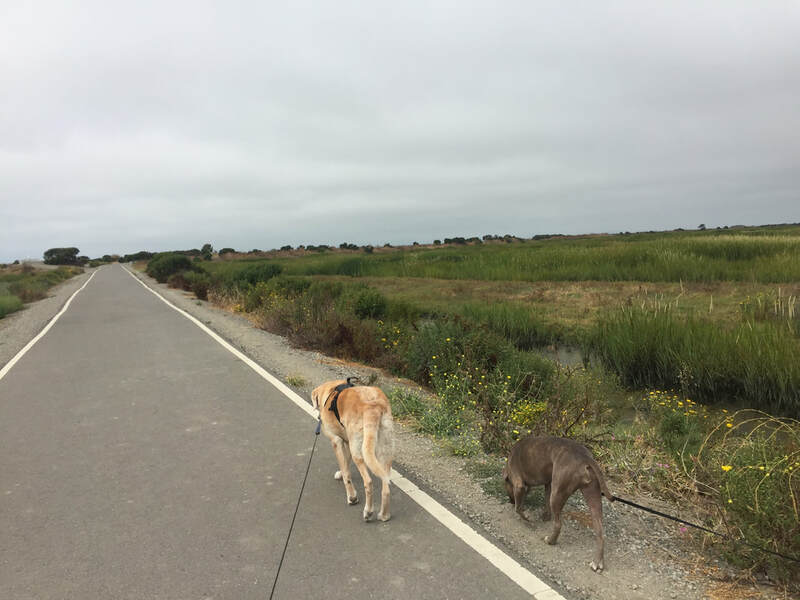 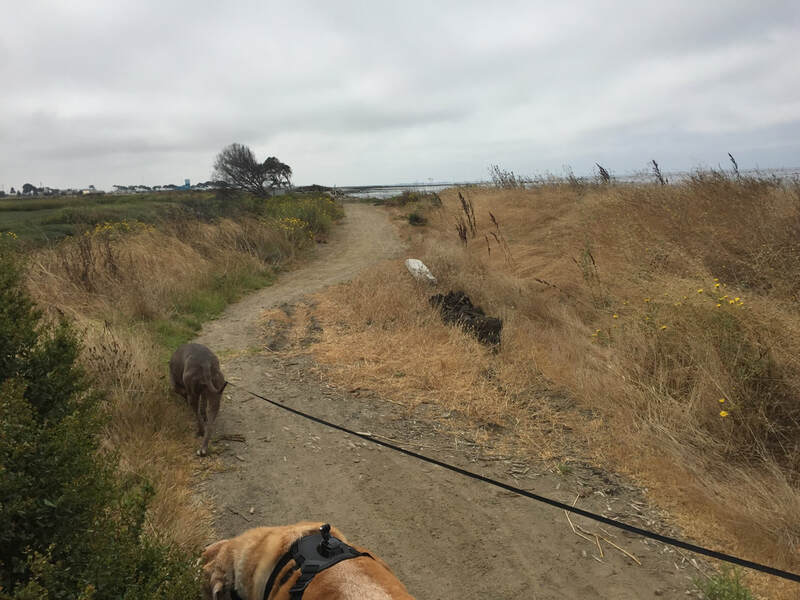 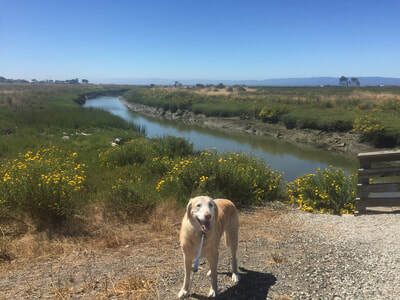 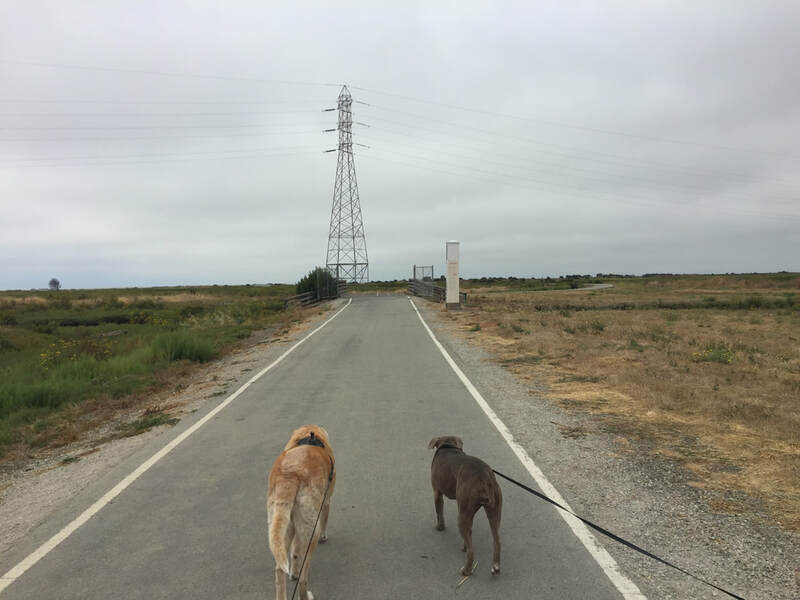 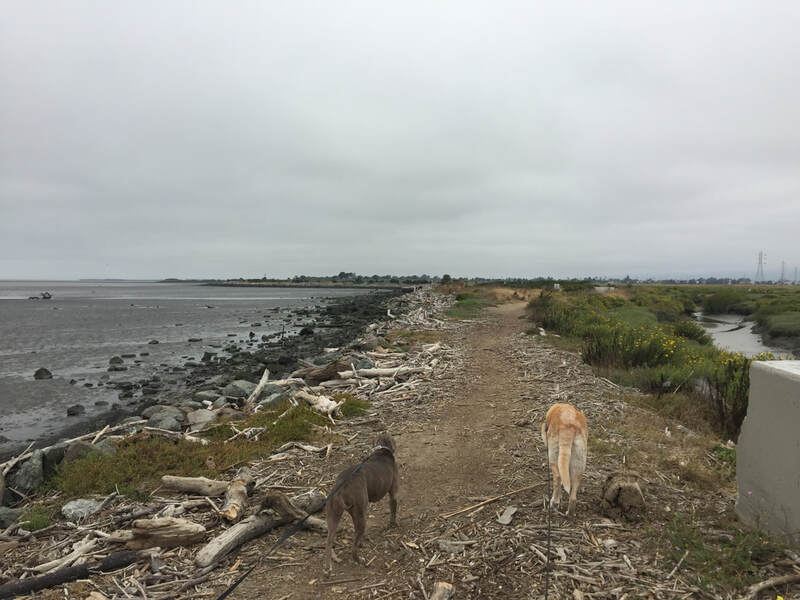 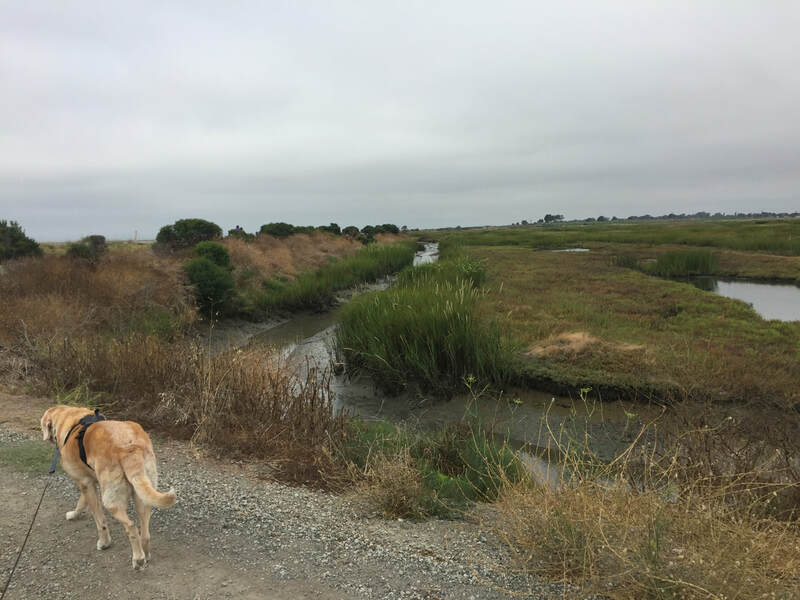 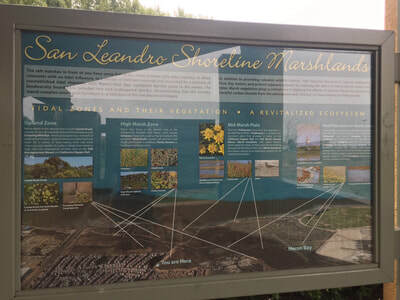 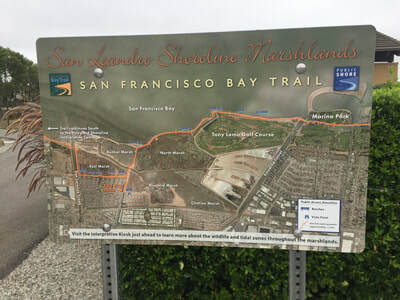 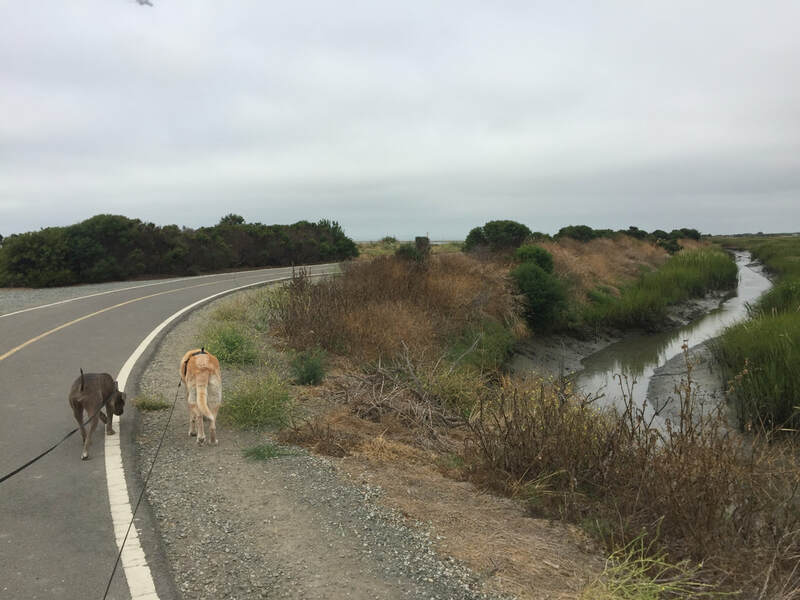 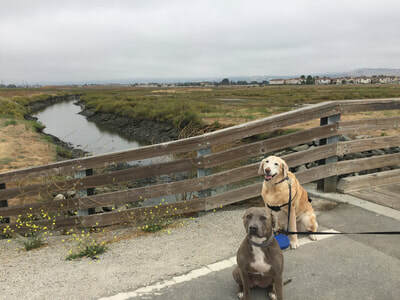 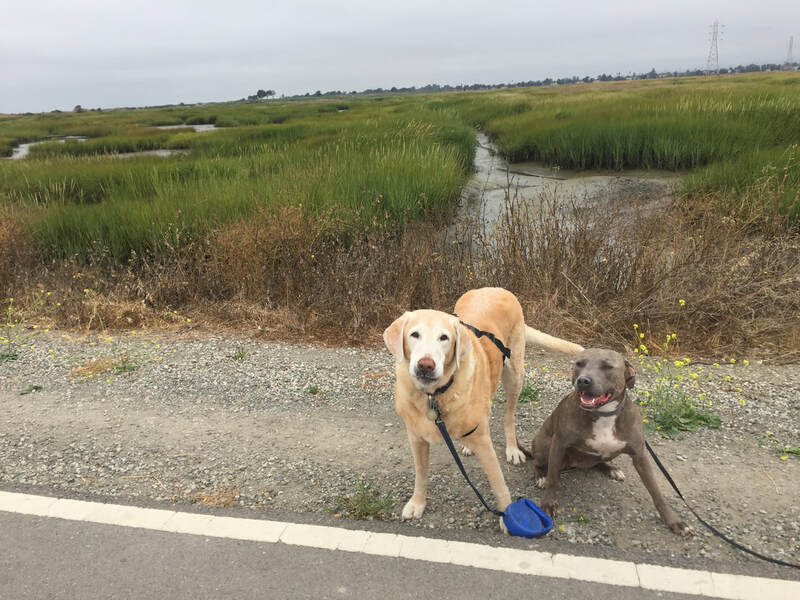 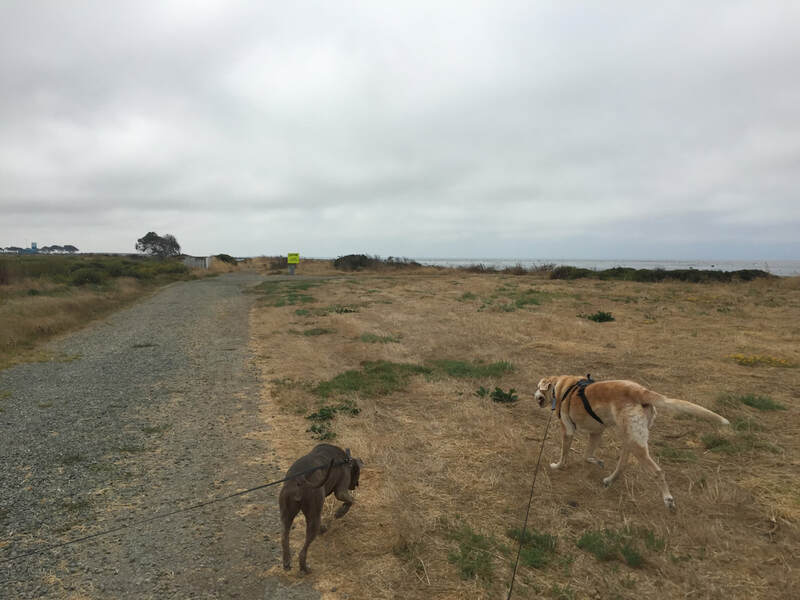 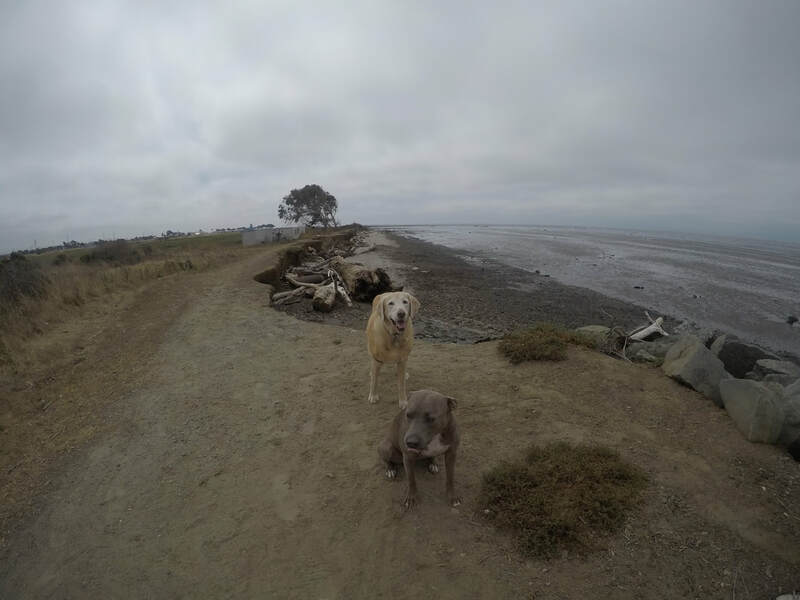 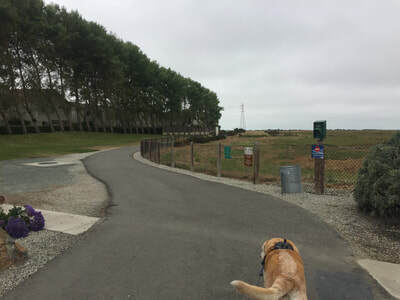 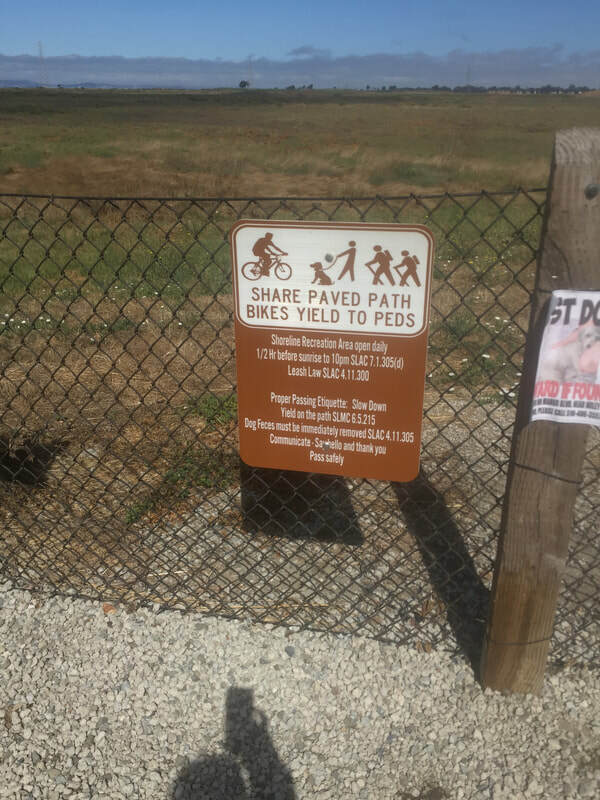 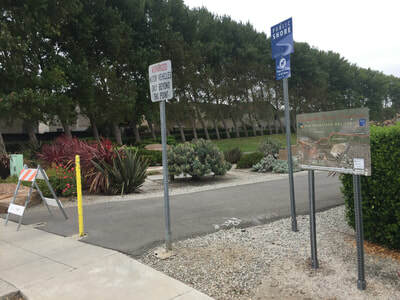 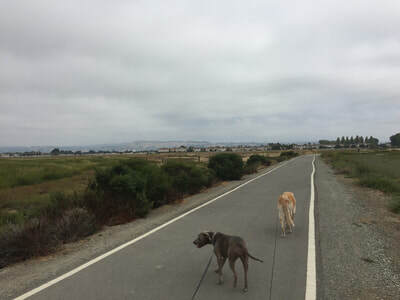 Description: Today we checked out a new trail - Heron Bay Trail, in San Leandro. 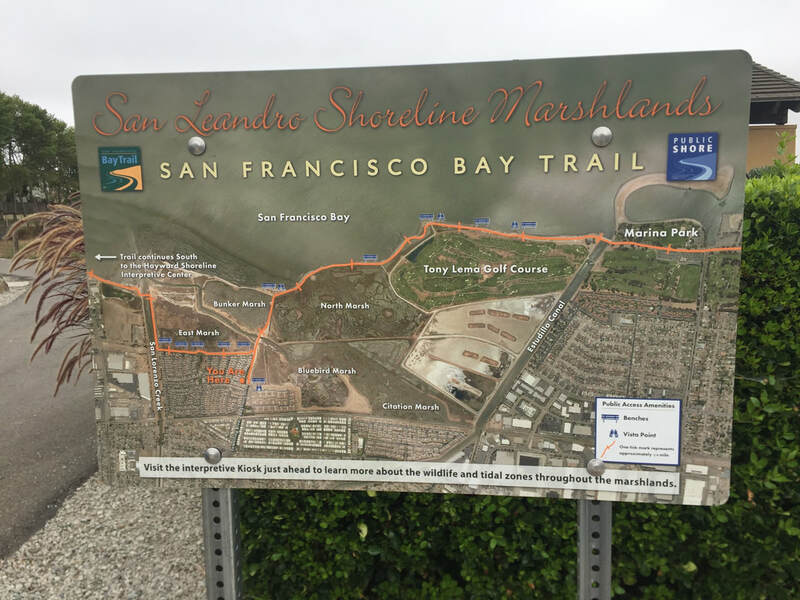 This is a beautiful shoreline trail reminiscent of Oyster Bay. It starts off paved, hugs the marsh, and then turns into a rocky trail along the coast. 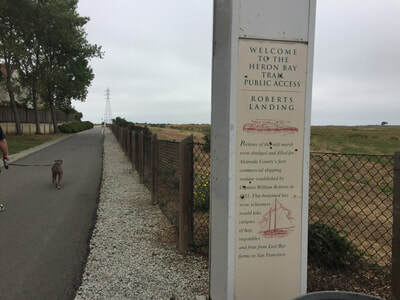 This turns into the Bay Trail, which you can take North to Marina Park. 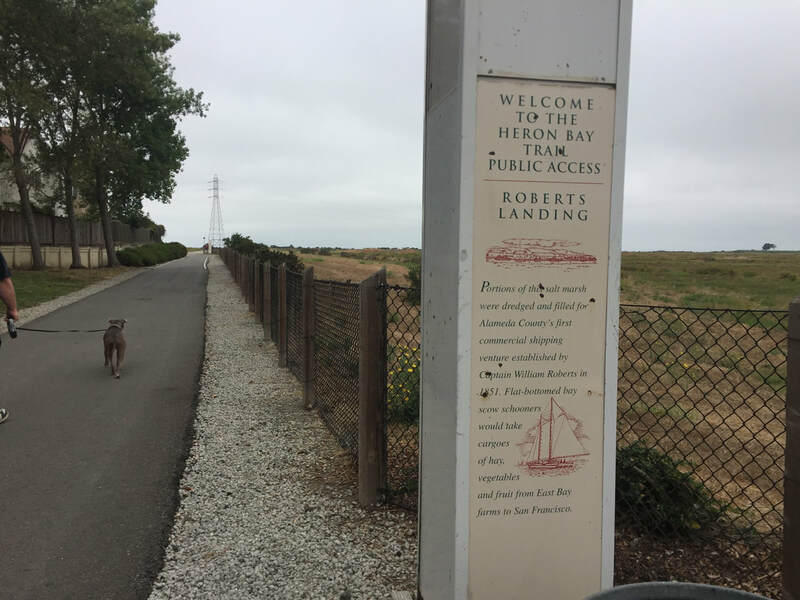 You can also take it South to the Hayward Regional Shoreline. It's usually a little cooler, since it's near the coast, which is a good option for a warm day. 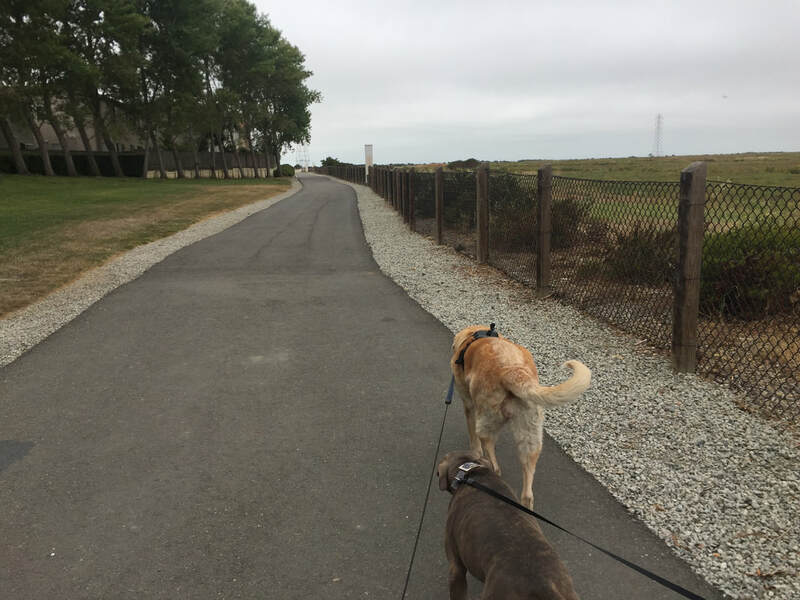 Just make sure it's not too hot, as this is mostly exposed to sunlight and the paved section will get hot under your dog's paws.